Following a report from iMore earlier today claiming that Apple will hold a media event to introduce the next-generation iPhone and the "iPad mini" on September 12 ahead of September 21 availability for the new iPhone, AllThingsD reports that it has confirmed an Apple media event will be taking place that week. While the report's sources have apparently not confirmed the topic of the event or the exact date, it certainly appears to corroborate iMore's claims. AllThingsD has been very accurate in the past regarding Apple rumors, and has on several occasions been the first to reveal dates for Apple media events, lending significant weight to this report's support of the September 12 date from iMore. The report goes on to note that Apple's latest quarterly report has revealed a massive increase in component prepayments, signaling that the company is moving full speed ahead on preparing its supply chain for production on the next iPhone and perhaps other devices such as the iPad mini. Update: The Verge has also "confirmed" the September 12 date with its own sources. The rumor cycle this time around for the next iPhone has been a bit unusual — multiple leaks have all depicted the exact same components — but it looks like we'll be seeing what Apple has up its sleeves come Wednesday, September 12th. Our own sources have confirmed that date, and multiple websites have similar reports as well. Update: Reuters, Bloomberg and NYTimes also confirm the date. Ill laugh when it comes out with the weird stretched screen and all the moaners buy it anyway and say how amazing and innovative apple is. iPad mini introduced, no iPhone. Who gives a crap about an iPad mini. Literally a .5 inch larger phone than you already have. Camera will be marginally better, 4G (nearly all androids already have this), and NFC (all androids have this). iOS 6 = looks the same as every iOS ever made with a few new features you will probably rarely use. But when the SGSIII has those same features it's "the best phone on the market"? Keep your wallets ready for Fall. I know I am. My Bday is 9/19. Looks like I'll be buying myself a gift this year. 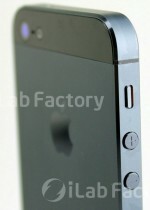 So does anyone know when the 4S event was and when the phone was actually released?